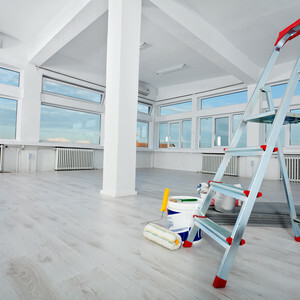 At ServiceMaster Clean of St. John’s, we work with our customers to understand their unique office cleaning needs and customize our services and schedules to keep their facility looking great. Whatever your cleaning service or scheduling needs, we can tailor a janitorial service plan just for you. You can count on ServiceMaster Clean of St. John's to help your business look it's best every single day. At ServiceMaster Clean of St. John's we aim to consistently do our job right and strive to make your job hassle-free. If we don't meet your expectations the first time, we'll work to correct it immediately. ServiceMaster Clean of St. John's is pleased to offer Complete Commercial and Janitorial Services in the St. John's, Mount Pearl, CBS and Surrounding areas. Clean, well-kept facilities enhance the corporate image of companies and provide a healthy environment for customers and employees. Every day more than 100,000 businesses world-wide depend on ServiceMaster Clean to keep their facilities neat and clean. That’s because we hire the best people, train them well, and provide them with the most technologically advanced products and equipment. The result is service so good…we guarantee it.